Are you the person your friends and colleagues always seek out for heartfelt advice on planning a Disney vacation? Have you put together more amazing Disney trips than you can count, and do you want to help others do the same? 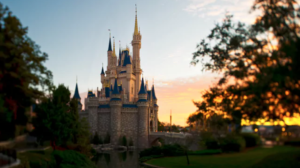 If so, then you may want to apply for a spot on the 2018 Disney Parks Moms Panel, the go-to online resource for guests seeking honest and relatable Disney vacation tips from likeminded parents. From Sept. 6-13, 2017, the search is on for everyday moms, dads and trusted family members to serve on the wildly popular forum. Applications can be submitted online at www.momspanelsearch.com. Applicants will be selected based on their personal experience exploring various Disney destinations and their ability to communicate their Disney knowledge to prospective guests in easy-to-understand and friendly ways. The selection committee is eager to hear from parents from a variety of backgrounds and experiences who can lend diverse trip-planning insights, including moms, dads, grandparents, military service members, and more. Heading into its 11th search, the Disney Parks Moms Panel has grown to be one of the most popular and trusted Disney vacation planning tools. It offers tailored parent-to-parent vacation advice in a convenient question-and-answer format. Additionally, the panel is available in four languages – English, Spanish, French, and Portuguese – to meet the unique needs of every type of Disney traveler and Disney hopes to welcome even more bilingual panelists to the 2018 panel. Accessible at home or on-the-go, the Disney Parks Moms Panel offers firsthand insights into a myriad of topics like how to maximize time in the parks with preschoolers and how Disney Cruise Line can accommodate families with special needs. Advice comes from real-life moms and dads who have been there before, providing instant connections to fellow parents. New questions are posted daily, and visitors can explore ‘Trending Topics’ and ‘Most Useful Questions’ to uncover valuable trip planning advice they may have not considered to ask. Of course, the Disney Parks Moms Panel is also the source for tips on new Disney attractions and entertainment like the latest groundbreaking experiences: Pandora – The World of Avatar at Walt Disney World Resort and Guardians of the Galaxy – Mission: BREAKOUT! at Disneyland Resort. Applications for the 2018 Disney Parks Moms Panel will be accepted from noon EDT on September 6, 2017, through noon EDT on September 13, 2017. To apply, visit www.momspanelsearch.com. The application process follows the below format, though subject to change if needed: a series of short-answer questions in the first round, additional short-answer questions and submission of a brief video in Round 2, and phone interviews for applicants making it to the final round. The 2018 Disney Parks Moms Panel will be announced in January. Applicants selected must be available to attend a training session at Walt Disney World Resort from November 29 to December 3, 2017.